When the forecast mentioned we’d finally be getting some much needed rain, I expected more than the “mist” that came. However, it provided some super awesome subjects for my photo project! 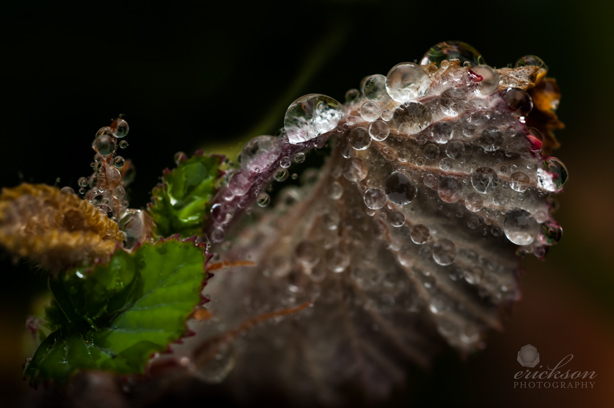 Because the mist was so light, it allowed for some of the most amazing water droplets to form on the plants. There were so many shots that were worthy of my “shot of the day,” but this one steals the show. I love, love, love how you can see the intricate details within the drops themselves—the little hairs of the leaf fur, almost like they were enclosed in individual snow globes.